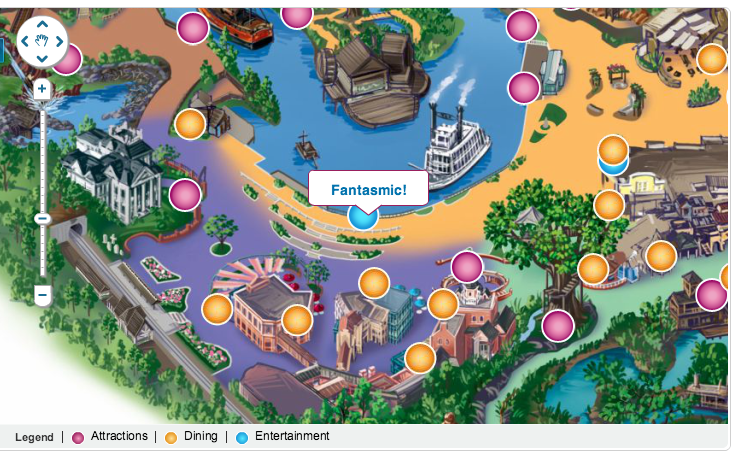 The Lands of Disneyland: Frontierland! 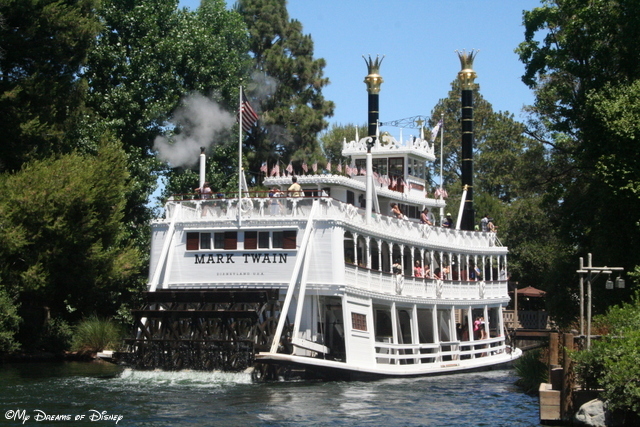 The Mark Twain Riverboat is just one of the great things to do in Frontierland! 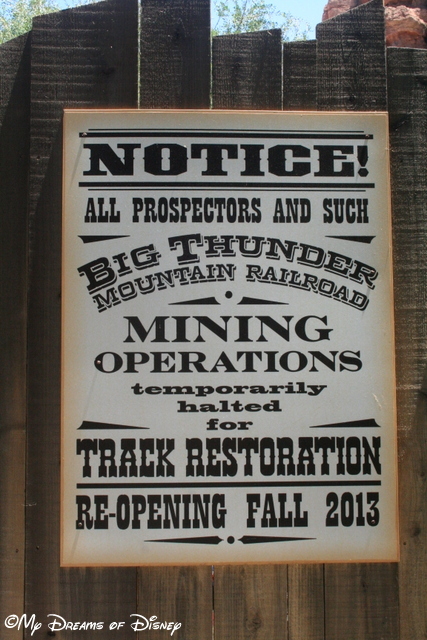 Big Thunder Mountain Railroad is near the top of my list of favorite roller coasters! 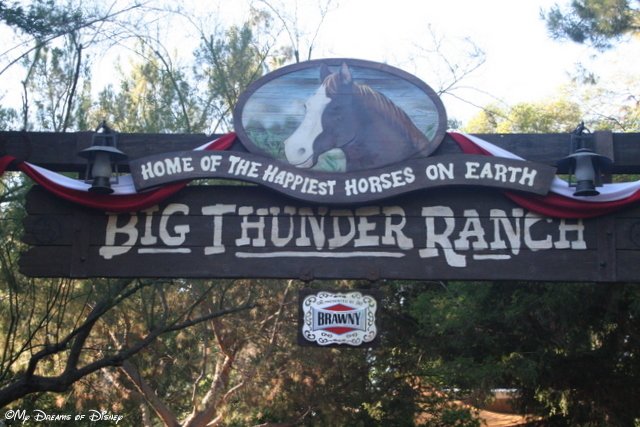 Big Thunder Ranch is a great little outdoor petting zoo type environment! 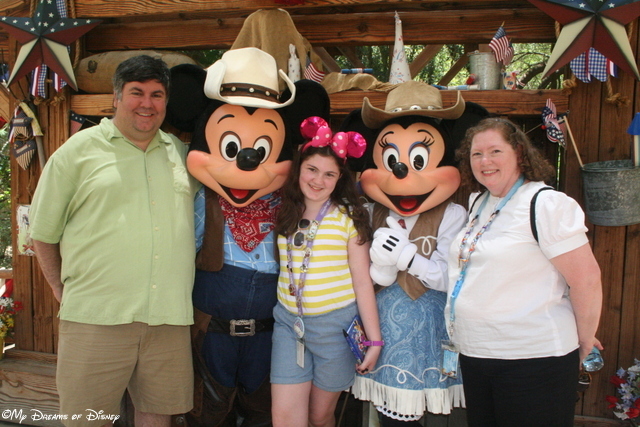 We came strolling into Big Thunder Ranch one day during our trip, and had the best time. They had lasso’s for your kids to learn how to lasso, they had some of the great horses on display, along with other animals and birds, and while we were there, we ran into our friends, as you can see below — it was so cool because there was hardly anyone around, so we didn’t have to wait at all! Look who we ran into at Big Thunder Ranch! Fantasmic is performed on the Rivers of America in Disneyland! The Frontierland Shootin’ Exposition is of a similar nature to the one at Walt Disney World. Basically it’s a shooting arcade — it isn’t really our thing, so we didn’t take it in, but if you have young hunters or would-be hunters, I’m sure they would enjoy it! The Mark Twain Riverboat is a replica paddleboat on the Mighty Mississippi! 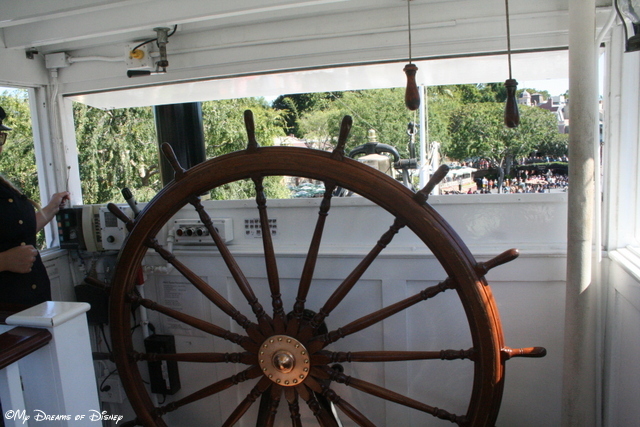 The shot above was taken from the pilothouse (I think that’s the right term) of the Mark Twain Riverboat! It was great being able to go up there, although it was a little cramped with me, Sophie, and our boat captain up there! 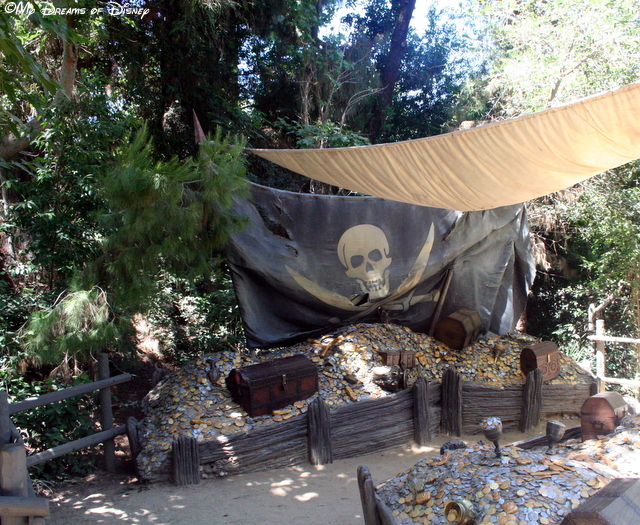 The Pirate’s Lair is part of Tom Sawyer Island, a fun place for kids to play! Tom Sawyer Island is a great little getaway from the rest of Disneyland. Just like at the Magic Kingdom, access to the island is by way of raft, and it’s a lot of fun to head on over and relax some of the day away. Look for all the treasure at the Pirate’s Lair, and have fun finding all the passageways! 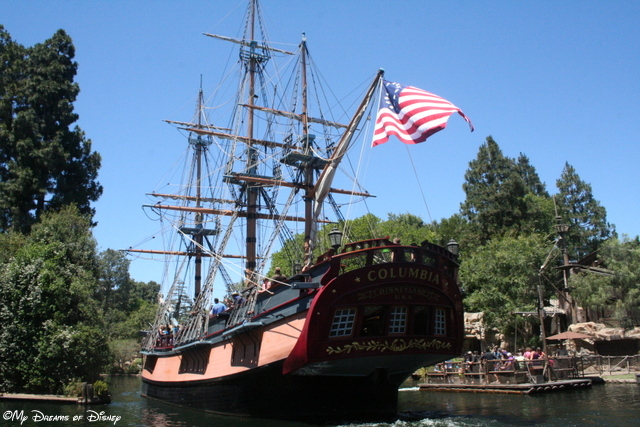 The Sailing Ship Columbia is perhaps the most relaxing ship to go on at Disneyland! I really enjoy the Sailing Ship Columbia. When you board her deck, and get underway, it really feels as if you are back in the age when this ship was sailing around the world! 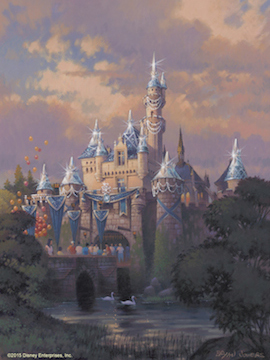 That is part of what I love about Disney — his true love of history, and how he incorporates that into his parks so that they are so much more than just a place to ride rides. 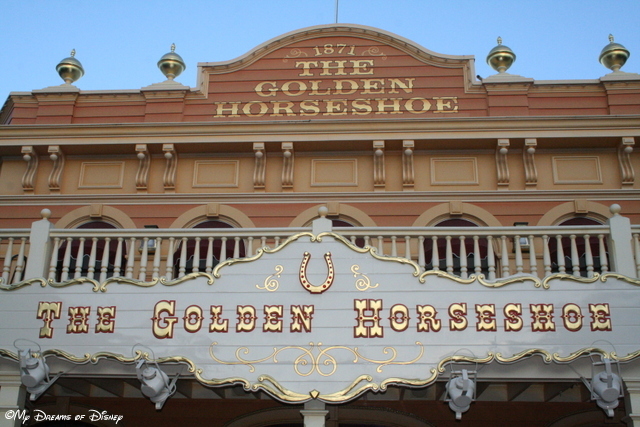 In addition to all of these, Frontierland is also the home to the Golden Horseshoe, which, while it doesn’t still do Wally Boag’s show, is still a great photo opportunity that shouldn’t be passed up! The Golden Horseshoe is a great looking building! Frontierland. It is here that we experience the story of our country’s past. The color, romance and drama of frontier America as it developed from wilderness trails to roads, riverboats, railroads and civilization. A tribute to the faith, courage and ingenuity of our hearty pioneers who blaze the trails and made this progress possible. 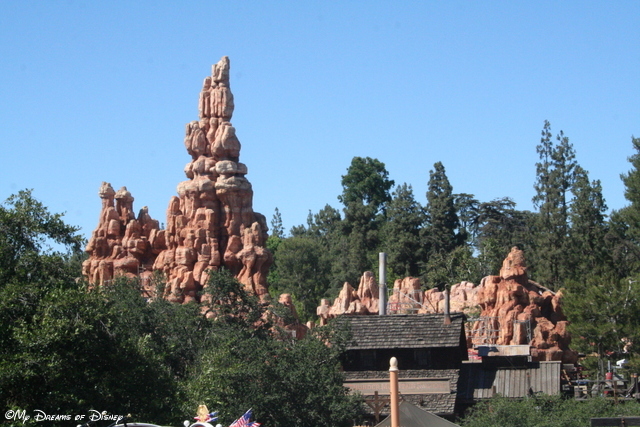 Thank you for stopping by as we take a look at Frontierland, one of the Lands of Disneyland!